Good morning all! It seems to be pretty frosty in the Northwest…stay warm all! On a sidenote before I get going this morning. Remember when I wrote about the brambles? I LOVE that so many people continued to engage that scripture and are still writing in. THANK you! It is great to have the conversation! And so many takes that I didn’t even get to in my brain…awesome! In Glee a year or so ago (or maybe even more) there was an episode called “Grilled Cheesus.” Finn Hudson is having a rough time of it and makes a grilled cheese sandwich to look down and find the above picture. Jesus has appeared. He is so hungry that he eats one half of the sandwich and then continues to pray to the grilled cheesus throughout the episode. It becomes a go to type of situation. I even have Jesus stuff…a flashlight, stuff to make holy toast with the image of Jesus, a mug where a holy figure appears, etc. We want to see Jesus in many different locations and ways. Hebrews presents us with different ways to see Jesus, as a pioneer of salvation and a perfecter of faith. Jesus, in order to get to this place, has become human. That is what the whole story is about…Jesus was human and can connect to us in that way. We don’t need him in toast, we need him as brother, argues the author of Hebrews. Jesus has become all of these things to us because he knows what it means to live, to suffer, to die, and to be with other people. He knows what it means to live out life, to talk with others, and to feel. According to Hebrews, our God did all of this so God could connect to us. 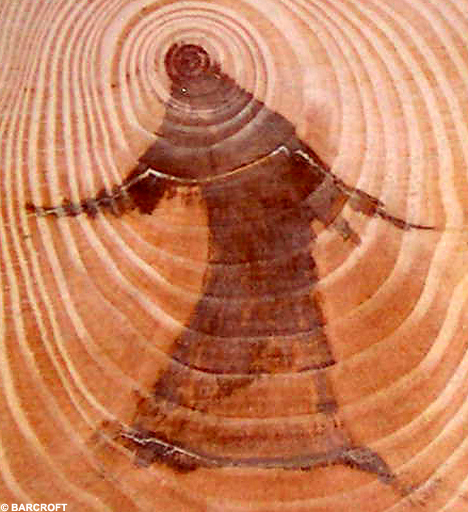 Therefore, we won’t see Jesus in wood…we will see Jesus in each other. That is good news to me. It means I don’t need to hold the perfect image of Jesus because I can see Jesus in the human experiences. It means that I don’t need to say magical words to have relationship with God, I can experience God through what it means to be human. It means I don’t have to have it all perfect because Jesus knew what it meant to be a human being who makes mistakes. Where do you see Jesus? And what is your favorite image?